Ringer Ave Carpark at Matapouri Bay (left off Morrison Ave) to Whale Bay beach. Access: A combination of walking on the beach, dirt track and gravel track, steep climbing at times. Quite steep if you access the path from Pebbly Bay. Due to the steepness of the track a reasonable level of fitness and good shoes are recommended. Carparking: Free carpark at Ringer Ave. Note; Please do not leave your valuables in the car or lugguage on display when leaving the vehicle. Directions: Option 1: Matapouri Beach route. Walk North along Matapouri Beach towards Pebbly Bay and at the end of beach you will find a steep track. The path leads up over the hill, (eventually turn right) along the ridge and down to Whale Bay. 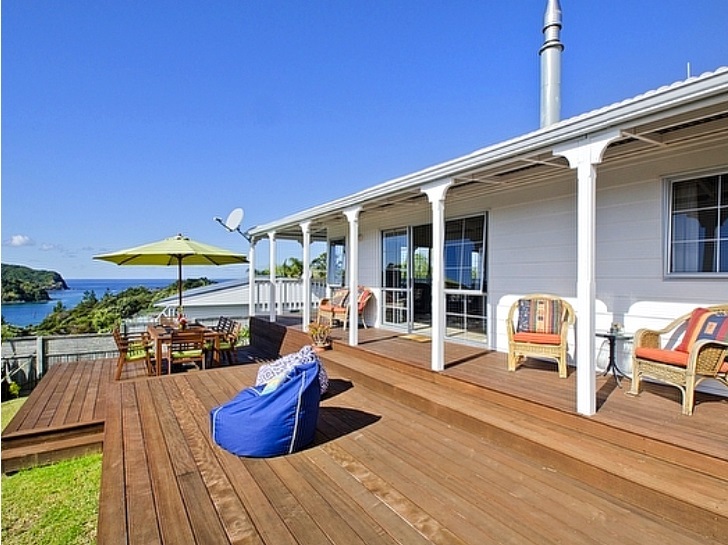 Views from the top include Woolley’s Bay and northwards up the coast towards Whananaki. The track ends at Whale Bay beach. This area is a public reserve. 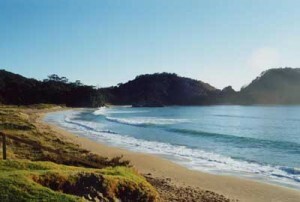 Whale Bay provides safe swimming, good snorkelling and shade from the Pohutukawa Trees that line the bay. Matapouri is also good for swimming and due to the different position of the bay may offer different swimming conditions depending on the swell and wind direction. You can return via the alternative inland loop route below or back along the pathway you came in on. Option 2: Inland route. Take the clearly defined track from the carpark up the hill through native bush. At the top of the hill take the path to the right heading downhill towards Whale Bay. You can either return via Pebbly Bay and along Matapouri Beach or return along the same pathway you arrived on.